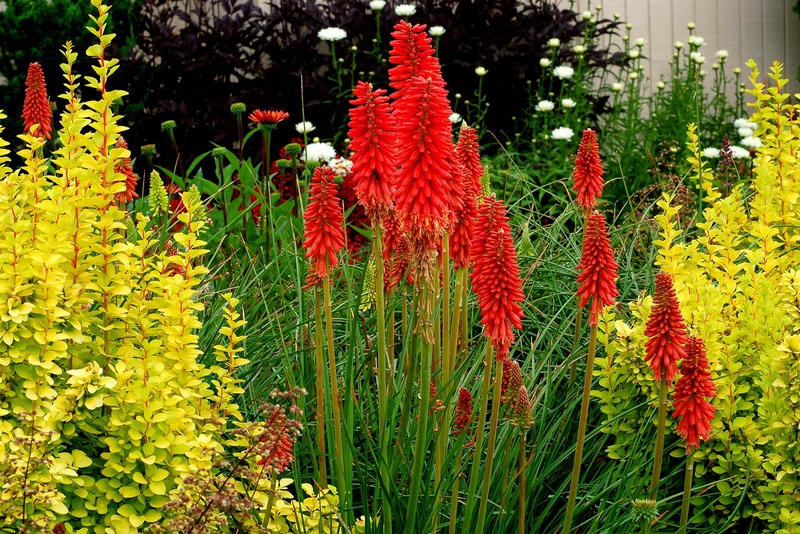 Red hot pokers - Kniphofia, are an extremely exotic flowering herbaceous perennial, and a perfect choice for the cold hardy, tropical effect garden. Native to the continent of Africa, red hot pokers have broad strap-shaped foliage which can be anywhere between 1 and 5 ft long depending on the species or cultivar. When mature, all red hot pokers produce multiple upright flower spikes which bloom well above the foliage. However, despite their common name they are not always red but they will be brightly coloured in shades of red, orange and yellow. In fact many examples are bicoloured. Unfortunately purchasing red hot pokers for the garden can be a little addictive, and this can end up causing rows with your partner as well as leaving a little out of pocket. However there is a practice solution which is to grow your own stock from seed. You can sow red hot poker seed from February to June or if you miss this window you can get another shot from September to October. Using a good quality compost such as John Innes 'Seed and Cutting' fill pots or seed trays and lightly firm. Sow the seed on the surface but do not cover with more compost. Instead cover the seed with a light sprinkling of horticultural grit, perlite or vermiculite. This is because in this particular instance exposure to light will promote germination. Water either using a watering can connected to a soft spraying rose or gently dunk the tray or pots into a larger container of water allowing the water to draw up naturally through the compost. This is to avoid washing the seeds to the side of their pot or tray. If you are sowing in the spring then place the pots or seed trays either in a heated propagator at a temperature of between 15-20C or move to a warm, bright windowsill and place inside a sealed, clear polythene bag to help maintain humidity. 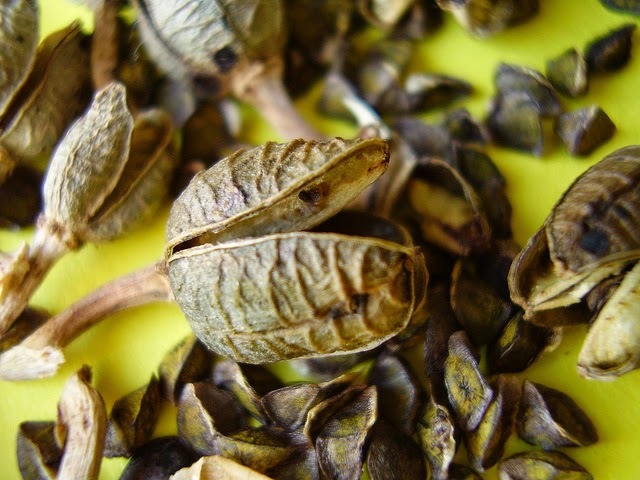 Make sure that the seeds to not receive direct sunlight. 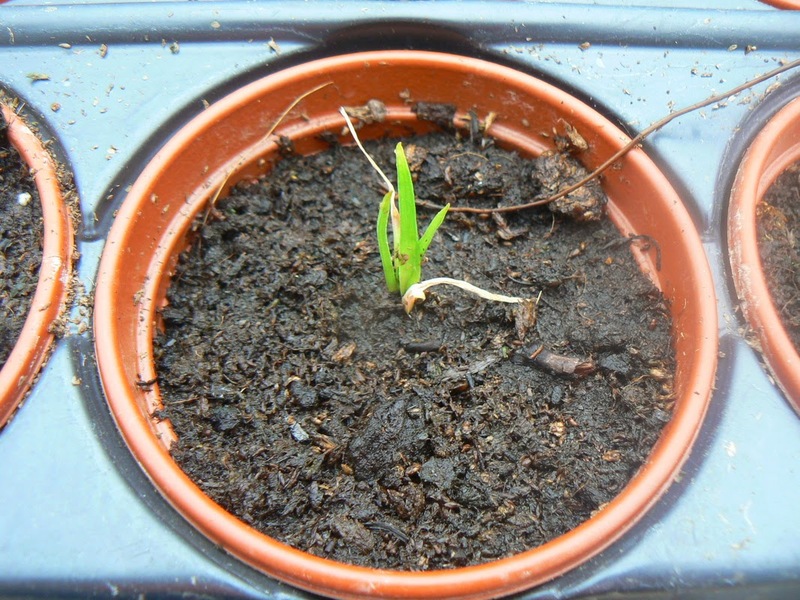 Keep the surface of the compost moist but not waterlogged, and you should expect to seed germination within 2 - 4 weeks. Once the seeds emerge they can be removed from the sealed bag or propagator, but still left on the warm, bright windowsill. Once the seedlings are large enough to handle, they can be transplanted into 3 inch pots. Grow on for a few more weeks and then gradually acclimatise the young plants to outdoor conditions over the next week or so. Once there is no longer a threat of frosts the young plants can be planted into their final position outside at a spacing of 12-24 inches apart depending on the overall size of the mature plant. Red hot pokers prefer a humus-rich, moist, well-drained soil positioned in full sun or partial shade. Luckily they do not require richly manured soils. Avoid wet or poorly drained soils or they may not survive over-winter.